Clear color. Clean aromas of aloe, lemon oil, lime peel, and green olive with a silky, bright, dry-yet-fruity light body and a tingling, brisk white pepper, soursop, and grapefruit finish. A mild but peppery gin for summer refreshers and gin purists. 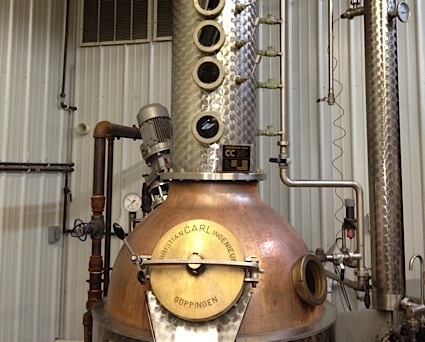 Bottom Line: A mild but peppery gin for summer refreshers and gin purists. 89 • Absolut Grapefruit Vodka 40% (Sweden) $19.99. 90 • Brancott Estate 2015 "Flight Song", Sauvignon Blanc, Marlborough 9% (New Zealand) $11.99. 83 • Brancott Estate 2015 "Flight Song", Pinot Grigio, Marlborough 9% (New Zealand) $13.99. 92 • Brancott Estate 2016 Sauvignon Blanc, Marlborough 13.5% (New Zealand) $15.00. 89 • Brancott Estate 2016 Pinot Grigio, Marlborough 13.5% (New Zealand) $12.00. 86 • Brancott Estate 2016 Pinot Noir, Marlborough 13.5% (New Zealand) $12.00. 87 • Campo Viejo NV Sparkling Brut Rosé, Cava 12% (Spain) $12.99. 83 • Campo Viejo 2012 Reserva, Rioja DOC 13.5% (Spain) $15.00. 84 • Campo Viejo 2015 Rioja DOC 13.5% (Spain) $12.00. 88 • Campo Viejo 2013 Reserva, Rioja DOC 13.5% (Spain) $15.99. 87 • Campo Viejo 2016 Tempranillo, Rioja DOC 13.5% (Spain) $12.99. 88 • Campo Viejo 2016 Garnacha, Rioja DOC 13.5% (Spain) $12.99. 90 • Campo Viejo 2011 Gran Reserva, Rioja DOC 13.5% (Spain) $19.00. 88 • Frïs Vodka 40% (USA) $12.99. 90 • Green Spot Single Pot Still Irish Whiskey 40% (Ireland) $35.00. 92 • Green Spot Chateau Montelena Single Pot Still Irish Whiskey 46% (Ireland) $55.00. 88 • Jacob’s Creek NV "Double Barrel", Shiraz, South Australia 14.8% (Australia) $19.95. 92 • Jacob’s Creek NV "Double Barrel", Cabernet Sauvignon, South Australia 14% (Australia) $24.99. 87 • Jacob’s Creek 2016 Classic, Shiraz, South-Eastern Australia 13.9% (Australia) $8.00. 88 • Jacob’s Creek 2016 Classic, Chardonnay, South-Eastern Australia 13.1% (Australia) $8.00. 84 • Jacob’s Creek 2016 Classic, Cabernet Sauvignon, South-Eastern Australia 13.9% (Australia) $8.00. 86 • Jacob’s Creek NV Double Barrel, Shiraz, Australia 14.8% (Australia) $19.00. 90 • Jacob’s Creek NV Double Barrel, Cabernet Sauvignon, Australia 14.3% (Australia) $19.00. 87 • Jacob’s Creek 2015 Classic, Cabernet-Merlot, South-Eastern Australia 13.9% (Australia) $11.00. 88 • Jacob’s Creek 2016 Classic, Merlot, South-Eastern Australia 13.9% (Australia) $8.00. 87 • Jacob’s Creek 2017 Classic, Moscato, South-Eastern Australia 7.6% (Australia) $8.00. 88 • Jacob’s Creek 2015 Classic, Pinot Grigio, South-Eastern Australia 12% (Australia) $8.00. 89 • Jacob’s Creek 2017 Classic, Chardonnay, Australia 12.8% (Australia) $8.00. 90 • Jameson Blended Irish Whiskey 40% (Ireland) $20.00. 88 • Jameson Caskmates Stout Editon Irish Whiskey 40% (Ireland) $27.00. 86 • Jameson Caskmates IPA Edition Irish Whiskey 40% (Ireland) $27.00. 90 • Jameson Signature Irish Whiskey 40% (Ireland) $40.00. 88 • Jameson Black Barrel Irish Whiskey 40% (Ireland) $35.00. 90 • Jameson Round Irish Whiskey 40% (Ireland) $50.00. 86 • Jameson Lively Irish Whiskey 40% (Ireland) $50.00. 86 • Jameson Bold Irish Whiskey 40% (Ireland) $50.00. 93 • Jameson Bow Street 18 Year Old Cask Strength Irish Whiskey 55.3% (Ireland) $210.00. 91 • Jameson 18 Year Old Irish Whiskey 40% (Ireland) $175.00. 86 • Jameson Cooper’s Croze Irish Whiskey 43% (Ireland) $50.00. 89 • Jameson Blender’s Dog Irish Whiskey 43% (Ireland) $50.00. 87 • Jameson Distiller’s Safe Irish Whiskey 43% (Ireland) $50.00. 88 • Jameson Crested Irish Whiskey 40% (Ireland) $30.00. 88 • Kahlúa Chili Chocolate Liqueur 20% (Mexico) $18.99. 91 • Kenwood 2016 Sauvignon Blanc, Sonoma Valley 13.5% (USA) $13.00. 88 • Kenwood 2016 Chardonnay, Sonoma County 13.5% (USA) $13.00. 88 • Kenwood 2014 Cabernet Sauvignon, Sonoma County 13.5% (USA) $15.00. 88 • Kenwood 2015 Pinot Noir, Sonoma Valley 13.5% (USA) $15.00. 96 • Midleton Barry Crockett Legacy Single Pot Still Irish Whiskey 46% (Ireland) $.00. 97 • Midleton Dair Ghaelach Single Pot Still Irish Whiskey 57.9% (Ireland) $200.00. 94 • Midleton Very Rare 2017 Irish Whiskey 40% (Ireland) $155.00. 94 • Midleton Dair Ghaelach Bluebell Forest Single Pot Still Irish Whiskey 55.3% (Ireland) $260.00. 87 • Mumm Cuvée Napa NV Sparkling Brut Rosé, Napa Valley 12.5% (USA) $22.00. 91 • Plymouth Gin 41.2% (United Kingdom) $32.99. 87 • Plymouth Sloe Gin 26% (United Kingdom) $37.99. 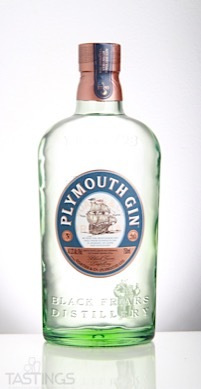 90 • Plymouth Navy Strength Gin 57% (United Kingdom) $37.99. 92 • Powers 12 Year Old John’s Lane Irish Single Pot Still Whiskey 46% (Ireland) $50.00. 93 • Powers Signature Release Single Pot Still Irish Whiskey 46% (Ireland) $50.00. 91 • Powers Three Swallow Release Single Pot Still Irish Whiskey 40% (Ireland) $39.00. 91 • Powers Gold Label Blended Irish Whiskey 40% (Ireland) $20.00. 96 • REDBREAST 12 Year Old Cask Strength Single Pot Still Irish Whiskey 57.2% (Ireland) $85.00. 91 • REDBREAST 12 Year Old Single Pot Still Irish Whiskey 40% (Ireland) $40.00. 93 • REDBREAST 15 Year Old Single Pot Still Irish Whiskey 46% (Ireland) $70.00. 89 • REDBREAST Lustau Edition Single Pot Still Irish Whiskey 46% (Ireland) $50.00. 95 • REDBREAST 21 Year Old Single Pot Still Irish Whiskey 46% (Ireland) $150.00. 87 • Rêve de la Mer Rosé 2016 Caves de la Mer, VOP Vin de Corse 11.7% (France) $24.00. 94 • Scapa Skiren Single Malt Scotch Whisky 40% (Scotland) $79.99. 88 • The Glenlivet Founder’s Reserve Single Malt Scotch Whisky 40% (Scotland) $44.99. 94 • The Glenlivet Nadurra First Fill Single Malt Scotch Whisky 59.8% (Scotland) $84.99. 93 • Yellow Spot 12 Year Old Single Pot Still Irish Whiskey 46% (Ireland) $.00. Plymouth Gin rating was calculated by tastings.com to be 91 points out of 100 on 2/19/2018. Please note that MSRP may have changed since the date of our review.